Evansville, Indiana, is known for a regional specialty: brain sandwiches. Really. And one place in particular does it "best." 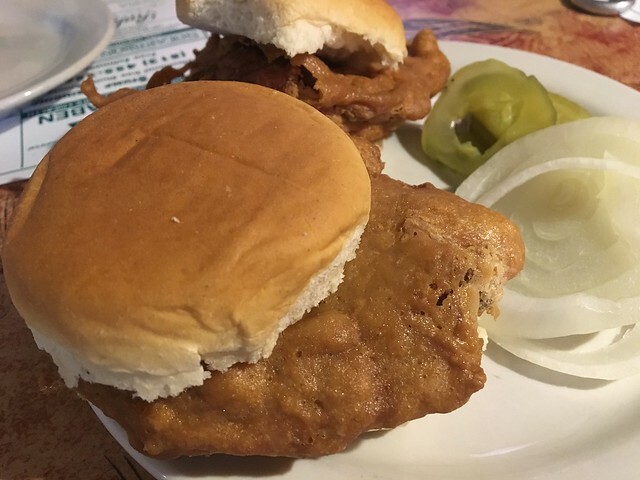 Hilltop Inn is known for its brain sandwich, made with fried pork brains. The Hilltop Inn was built in 1839 and served as a stagecoach stop for weary travelers and business men on the route from the Wabash River (New Harmony Area) to the banks of the Ohio River. The inn consisted of a saloon and a dining room on one side and a general store/feed store on the other. Sleeping rooms were located on the second and third floors. The main entrance (Now sealed up) was located in the center of the building, opening onto a stairwell that allowed people to enter the building without entering the saloon or the general store. 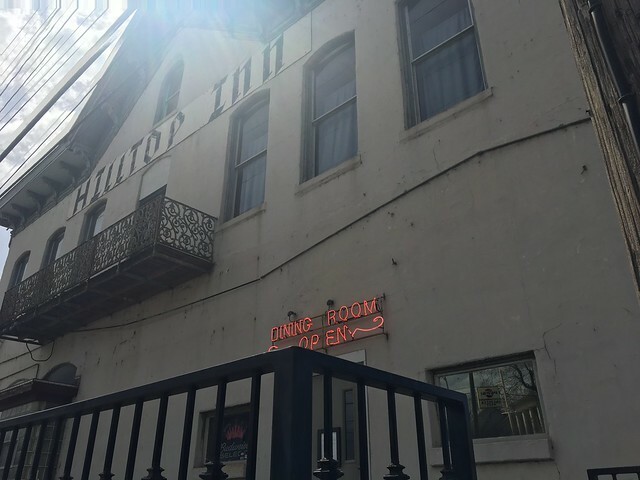 The inn was purchased by the Marx family in 1905 and became known as "Geo. J. Marx Saloon" and later as "Marx Tavern". In the 1950's George began leasing out the bar and restaurant to other individuals. When Willard Robinson leased the business, a name change occurred and became "Robby's Hilltop Inn". 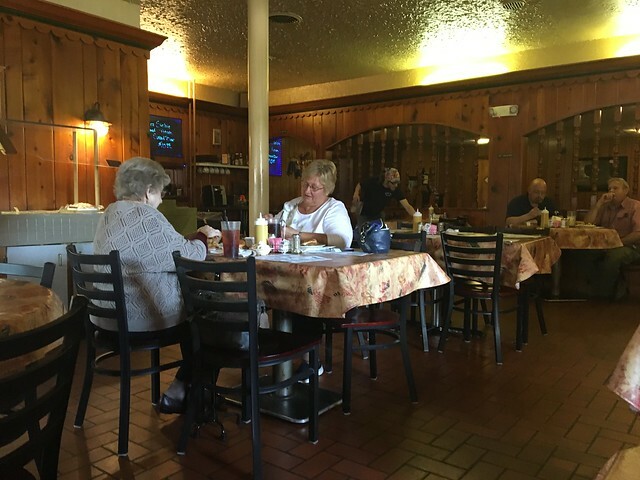 Don and Lanette Snyder purchased the restaurant in 1999. So, I ordered a brain slider so I could try it. 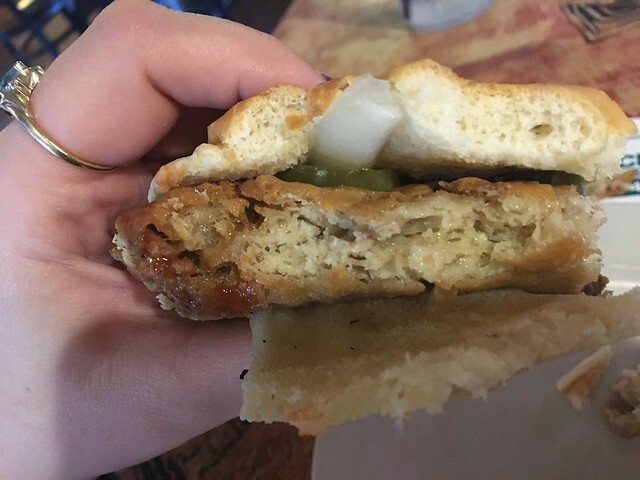 It comes with white onion and pickles and is served on a mini hamburger bun. So, what's it taste like? Fried. 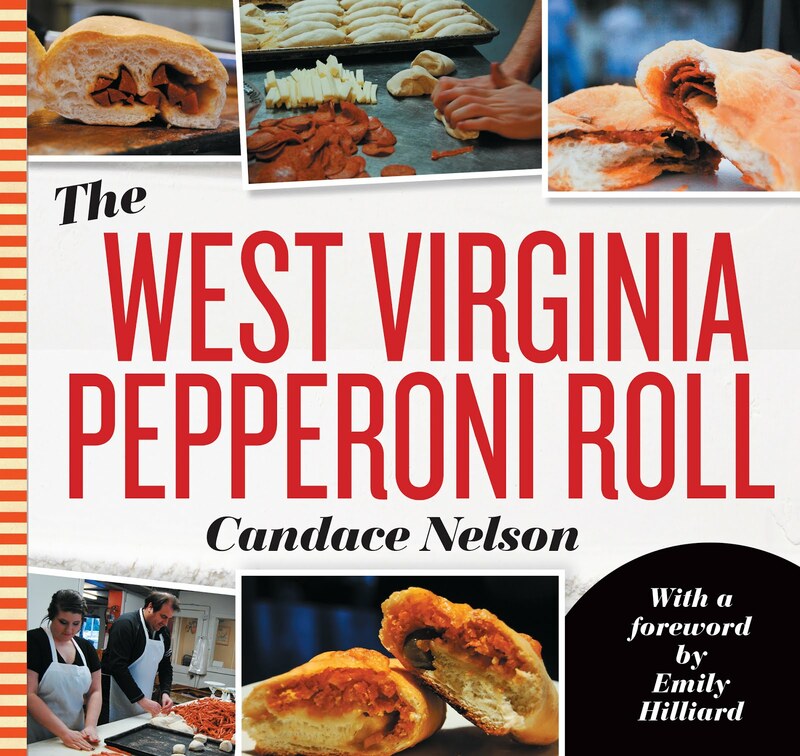 It just tastes all fried with a soft inside. It wasn't all that repulsive; it just wasn't especially exciting. There was a table next to me with a woman who had been eating brain forever, as its a old-school tradition, and she liked it. Either way, not as bad as you'd think.